In a world that at times seems to be full of conflict, parents and caregivers all hope that their children will grow up to be kind and polite to others. But is there something we can do to teach our kids to be sympathetic? How can children learn the best way to keep in mind the circumstances of others? Sympathy is different from empathy because it involves action. So, rather than just understanding what others are feeling, sympathy guides to action -it makes people think of ways to relieve someone else’s distress. People who feel sympathy tend to engage in prosocial behaviors, such as comforting, helping, and sharing. A recent study conducted by researchers from the University of Toronto, University of Plymouth, and University of Pavia, Italy, explored how children of different ages shared. In their study, 160 four- and eight-year-old children received 6 equally attractive stickers. They were then given the opportunity to share any number of those stickers with a child in a picture. The child in the picture was shown in different conditions, which included: ‘needy’ (“She/he is sad”, “She/he has no toys”) and ‘not needy/neutral’ (“This boy/girl is 4 or 8 years old, just like you”). The researchers found that children tended to share more with the ‘needy’ child, The 8-year-olds shared on average 70% of their stickers with the needy recipient (compared to 47% with the neutral recipient), while the 4-year-olds shared only 45% of their stickers in the needy condition (compared to 33% in the neutral condition). So the main question is why did 8-year-olds share more? The answer lies in the children’s growing abilities to put themselves in others’ shoes. Besides feeling concern for others, being able to understand their circumstances can increase helping or sharing behaviors, showing they are sensitive to their condition. Kids can actually show emotional empathy early on, but as they develop abilities to take perspective, they tend to show higher levels of sympathy. For example, acknowledging that others can have different desires, experiences, and emotions from their own, and that those come from their personal point of view. In this study, the 8-year-olds’ decision to share was guided by sympathy, taking into consideration the information of the child’s circumstances in the picture. In another study, researcher Brad Farrant found that children ages 4 and 6 showed more actions of helping and caring when their mothers encouraged them to see things from another child’s perspective. In other words, thoughtfully engaging in conversations with your little ones about others’ needs, feelings, and desires could help children develop sympathy! Use books to start a conversation about characters’ behaviors, choices, and motivations. Try to ask open-ended questions, like “Why do you think he behaved that way?” or “How did her choice impact other people?”. Help your little one verbalize her own feelings so she can learn to recognize others’ emotions. Help her find similarities with others before pointing out differences. Role-play and encourage your child to put herself in someone else’s shoes. 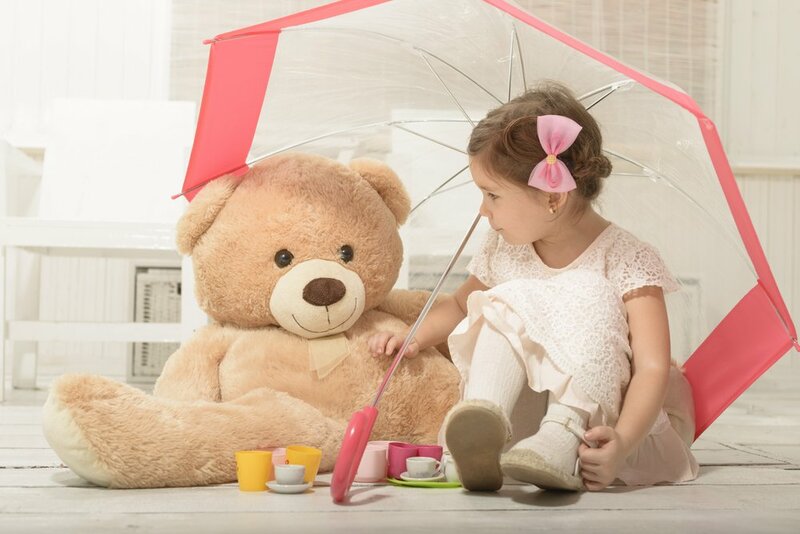 Empower your little one by helping her realize that she can bring joy or aid to someone else!